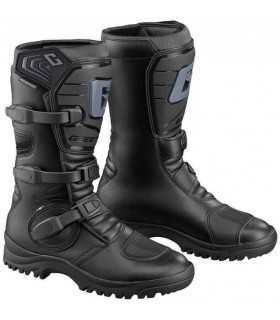 Alpinestars Web Gore-Tex is a high quality waterproof and breathable boot that can be worn every day of the year. Full-length zipper closure system for easy entry and exit. *Plastic moulded shin plate covered by a pressure stamped section of leather. *Internal support is provided by injection-molded plastic on the ankles. *Internal toe counter is layered under the leather. 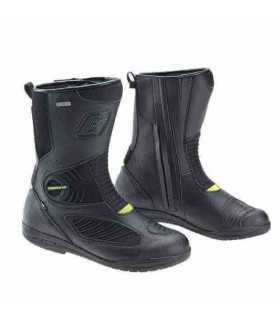 *Alpinestars' exclusive vulcanized compound sole with unique side wrapping design. 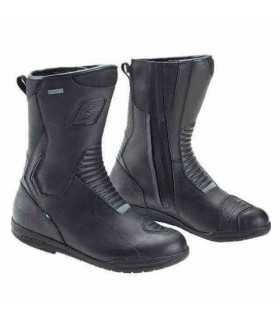 *Water-resistant full-grain oil leather upper. *Waterproof and breathable Gore-Tex® lining. *Soft micro fiber instep flex zone. *Removable anatomic perforated foot bed Velcro® calf adjustment. *Rear reflective insert for increased visibility.